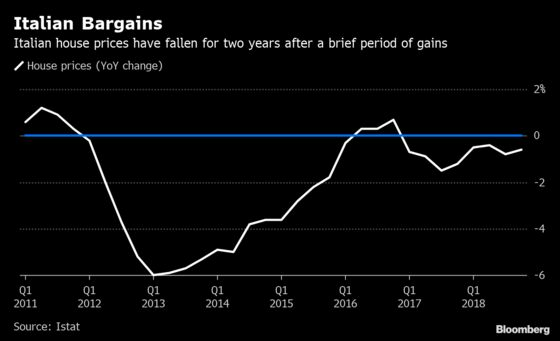 (Bloomberg) -- Italian house prices extended their declines at the end of 2018, reflecting the broader contraction of the economy, which fell back into a recession. The 0.6 percent drop from the same period a year earlier was mainly due to the existing house while the price of new ones was stable. Values for the whole of 2018 also declined, the sixth decline in the past seven years.